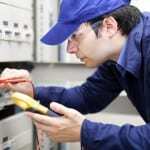 Our fuse box repair services are always handled by skilled, experienced electricians. We’re lucky to live during a time when electricity flows through our homes, providing power to our lighting fixtures, outlets, and appliances. All the power in your house comes through the fuse box, which is designed to manage the electrical fuses and ensure that all areas of the home are getting enough power. 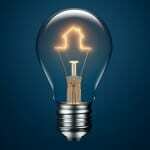 Older homes tend to have fuse boxes and wiring that can’t always keep up with the demands of today’s electrical needs. We have more devices, appliances, and electronics that use our power, often resulting in blown fuses and other issues in homes that are more than a few decades old. If you’re dealing with fuses that are constantly blowing, a fuse box that is smoking or giving off heat, or any other issue that impacts your fuse box, it’s important to bring in an expert to determine the next step. Having the box repaired is an urgent issue as a damaged one could be a serious hazard in your home. If the wires get overheated, you could end up with an electrical fire. Faulty wiring and improper fuses can also cause damage to your devices, as well as to your home if the wiring or fuse short-circuits. At Lamm Electric, we offer fuse box repair services to our valued clients in and around Mt. Holly, North Carolina. When you experience any type of issue, contact us and we’ll send an electrician to your home to assess the problem and come up with a plan to fix it. Our fuse box repair services are always handled by skilled, experienced electricians. At Lamm Electric, we offer fuse box repair services in Charlotte, Belmont, Huntersville, Indian Trail, Matthews, Mint Hill, Harrisburg, and Mt. Holly, North Carolina.